Located quite literally in the heart of Scotland, all of Scotland's major cities and towns are located no more than 2 hours drive away from Glenshee, with Perth and Dundee being 1 hour to the south, Edinburgh and Glasgow 2 hours to the south and Inverness and Aberdeen located 2 hours to the north. For a thousand years Glenshee has been Scotland’s hidden route north to the Highlands. Travelling from the lowlands to Upper Deeside Glenshee historically has been traversed by travellers from Kings and Queens to the humblest of subjects. 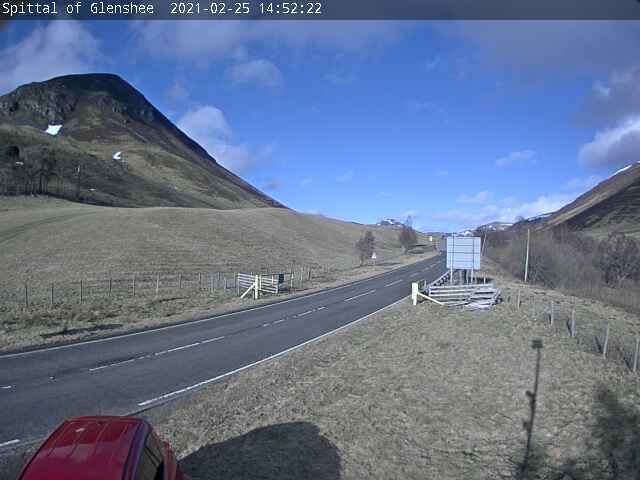 Stretching north of Blairgowrie on the A93 you arrive in Glenshee where the scenery becomes progressively more dramatic, fertile farmland gives way to rolling hills and then at the head of the glen, some of the highest peaks in Perthshire crowd in to form a rugged landscape. The road up through Glenshee to Royal Deeside is the highest main road in Britain and was once one of the most notorious, with the feared Devil’s Elbow and its 1 in 3 gradient. Glenshee today is a highlight of the ‘Deeside Tourist Route’ and the gateway to the Cairngorm National Park. Driving through Glenshee on the route from Perth to Aberdeen is a favoured Sunday pastime. The closest major airport is Edinburgh (1 hour and 30 mins) and the nearest railway station is Pitlochry (45 mins) and then Perth (1 hour). Buses run to Blairgowrie, Braemar and the Spittal of Glenshee in the summer months. The Spittal of Glenshee at the centre of ‘The Glen of the Fairies’ is located just off the A93, 15 miles south of Braemar and 18 miles north of Blairgowrie. Travelling north, take the M6 to Carlisle then the M74 to the east of Glasgow. From here head for Stirling and Perth. From Edinburgh head for the Forth Road Bridge and then follow signs for the M90 to Perth. From Perth, take the A93 to Blairgowrie, then follow signs for Braemar and Glenshee Ski slopes and you’ll soon be in magical Glenshee. A selection of free information leaflets on Glenshee, East Perthshire and the Cairngorms, along with a range of maps and guidebooks to purchase can be found at the Wee House of Glenshee Cafe, Shop at Visitor Centre located on the A93 halfway up Glenshee (formerly Glenshee Pottery). …..tread wearily…….. if the fairies like you and cast their spell……. you’ll always return to our enchanted glen.